Discover Canada Contest | Win Hockey-Themed Prizes! - Gateway to Canada | Canada Immigration Consultancy! Discover Canada Contest | Win Hockey-Themed Prizes! I am following Citizenship and Immigration Canada twitter account (@CitImmCanada) and it's where I learned about this Discover Canada Contest. The contest is really simple. 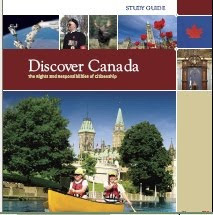 You just have to read Discover Canada Guide and tell them one thing you learned and you could win hockey-themed prizes! Interested to join Discover Canada Contest? To enter the contest, visit http://cic.gc.ca. This Discover Canada Contest is open only to Canadians (immigrants and citizens) currently in Canada.